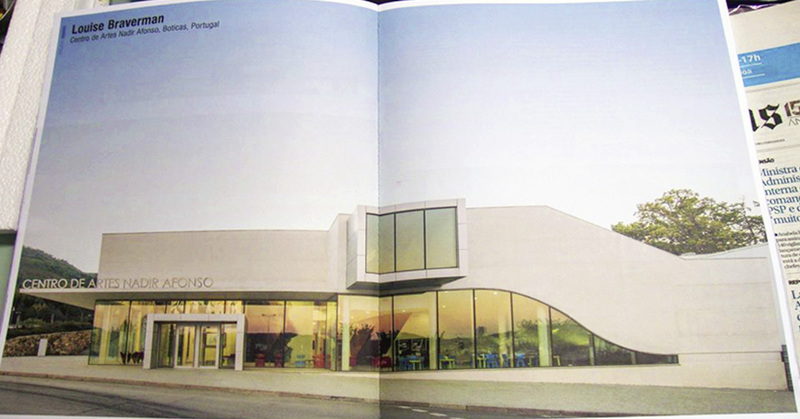 Centro de Artes Nadir Afonso featured in the latest issue of ARQA Magazine! December 10th, 2015 Our beautiful art museum in Boticas was recently profiled in ARQA's "Portugal Internacional" issue, which celebrated international architects who have recently completed projects in Portugal. The 8-page spread on Centro de Artes Nadir Afonso includes photographs, drawings and diagrams that outline the arc of the project from start to finish. Check it out!